My iPad is a fun way to read books, and I like the Kindle app better than iBooks. In part, that is due to the wider selection of titles, but it is also the actual reading experience of the Kindle that I enjoy. After I read a few books by Amazon published author D. A. Boulter, I sought another science fiction author who is not published by a “big” publisher. 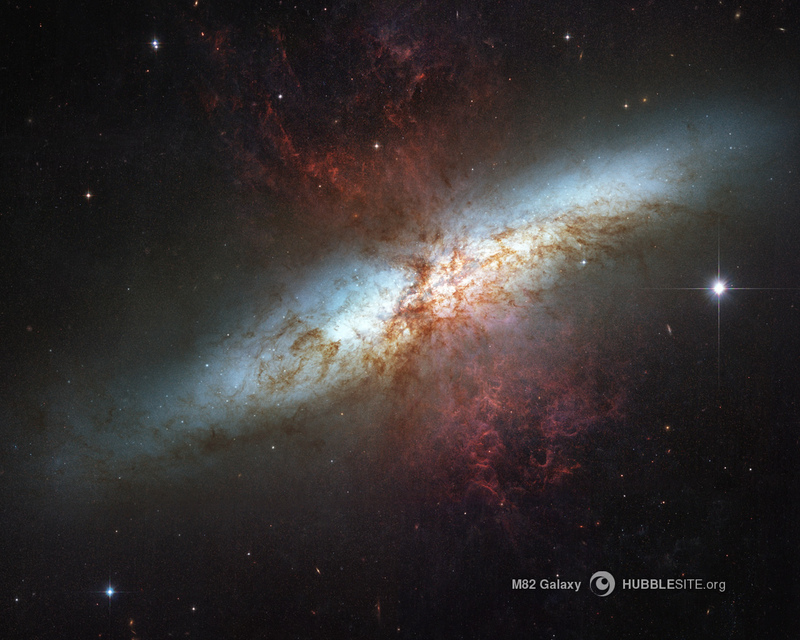 I began a series by Thomas DePrima, which begins with A Galaxy Unknown. This book has many reviews on Amazon, and the sheer number of reviews, along with the description, led me to purchase it. DePrima’s novel is far from original, but that is not necessarily a criticism. There are only so many plot devices, and space operas have certain limitations. Actually, I liked the blend of action and description. Other reviewers seemed to find the dialogue more annoying than I did, but the author’s insistence on using specific height when introducing his fairly large cast of characters is quite annoying. Other descriptors, such as eye color, hair color, skin tone, and whether or not the character likes “fries with that” would be welcome. I read four books in the series, and the author never stops using height as his favorite method of description. Far worse, the author insists on retelling the story every time the characters do. Without all the repetition, A Galaxy Unknown would probably be a tight 100,000 word read. Still, the main character has her charms. Yes, the heroine is a bit like Honor Harrington, but even at the outset of David Weber’s series, Honor is taking her first command, whereas Jenetta Carver is a lowly ensign when the first novel begins. Of course, Jenetta is not going to remain lowly for long, and the breakneck pace of this first story is refreshing, if one judges space opera by Weber’s lengthy and increasingly action-starved yarns. As I read the second, third, and fourth books in the series, I became less enchanted with DePrima’s space opera. Jenetta Carver is a fabulous heroine; and her permanent youthful looks and ever changing DNA, along with plenty of villains to defeat, keep her from being boring. I desperately wanted to like the sequels, because I did enjoy the first entry in the series, but the second volume just has too many admirals heaping too much admiration upon her. Yes, I know one must suspend disbelief to enjoy a good space opera. I have no problem with that, but Jenetta is too apt to be worshiped by her superiors as by her subordinates. I can only stand a page or too of hero worship at a time, especially when it is by older guys who should be both arrogant and curmudgeonly. Even the introduction of more characters and settings in the third and fourth books, including more villains, does not give Jenetta and her sisters sufficient challenges to create suspense. One of the main reasons to read fiction is to watch the characters solve problems, and this is the core issue with this author’s work. Jenetta is too perfect. The reader knows that Jenetta will win the battles via her brilliant strategy, crew and superiors alike will worship her, and she will get another promotion by the end of the novel. Of course, I could have quit reading before the fourth installment. No one made me buy books two, three, and four. Unfortunately, I did like the first book enough that I kept hoping that the author would regain some of the freshness of A Galaxy Unknown. Alas, it never happened, and I wasted eighteen bucks on the sequels. Readers of Visions and Revisions should realize this is merely the opinion of afive-foot nine reader, teacher, and author. Based on the reviews on Amazon, there are readers anxiously awaiting book eight in the series. I am looking for another new writer. Most sources of information are having some sort of commemoration of the ten-year anniversary of the terrorist attacks on September 11, 2001. And, like many people, I have thought about where I was as I heard the news. I’d been at a Bible study, and had no idea that there had been an attack until I heard my sister’s voice on my answering machine, telling me to turn on my television. Even after all this time, I do remember our conversation that day, and in the days right after the horrific events. As the wife of a private pilot, and as a woman who has taken enough flying lessons to have done solo flights, my sister’s perspective was a bit different, because what amazed her as much as anything was the swift shutdown of American air space. Because the FAA did not know the extent of the plot, they did the only logical thing, and that was an immediate halt on take-offs, and for those in the air, the instructions were to set down at the closest airport and stay there. The United States of America has numerous airports, and some of the busiest air space on the planet, but that all came to a stop on 9/11 Therefore, the international flights bound for the U.S. had to land elsewhere. Some 200 flights, with roughly 30,000 passengers, landed in Canada. One town, with a population of 10,000 had 6,500 unexpected visitors land, and those visitors were not going to be leaving in just a few hours, either. 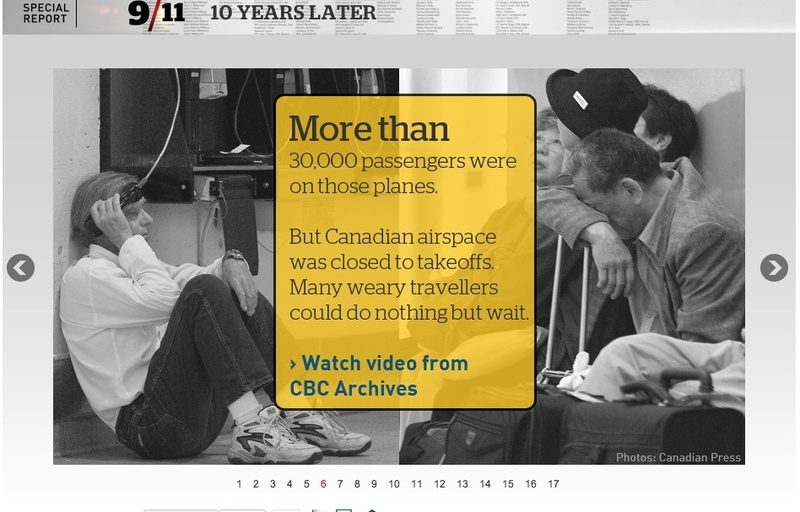 There is a feature on the CBC website which follows some of the stories, and the new friendships, which resulted from the extended sojourn that many of those passengers had in Canada, a decade back. The Osama bin Laden plot did succeed, for the most part, because the only plane which did not destroy its target was the one that crashed in Pennsylvania. The story doesn’t end there, fortunately. Based on the choice of targets, one goal for the terrorists was the shut down of the American economy, and it did not happen. Yes, the stock market closed for a few days, and business slowed for a bit, but our way of life did not change substantially. In fact, bad banking practices and real estate development gone wrong have done far more damage to the U.S. economy than the terrorist plots did. Instead, for a time, Americans joined together, with patriotism trumping partisanship, and Americans were more appreciative than they had been. And, apparently many of them found some new friends across the northern border.